Now more than ever the need for security at K12 Schools and Universities is at a critical level. 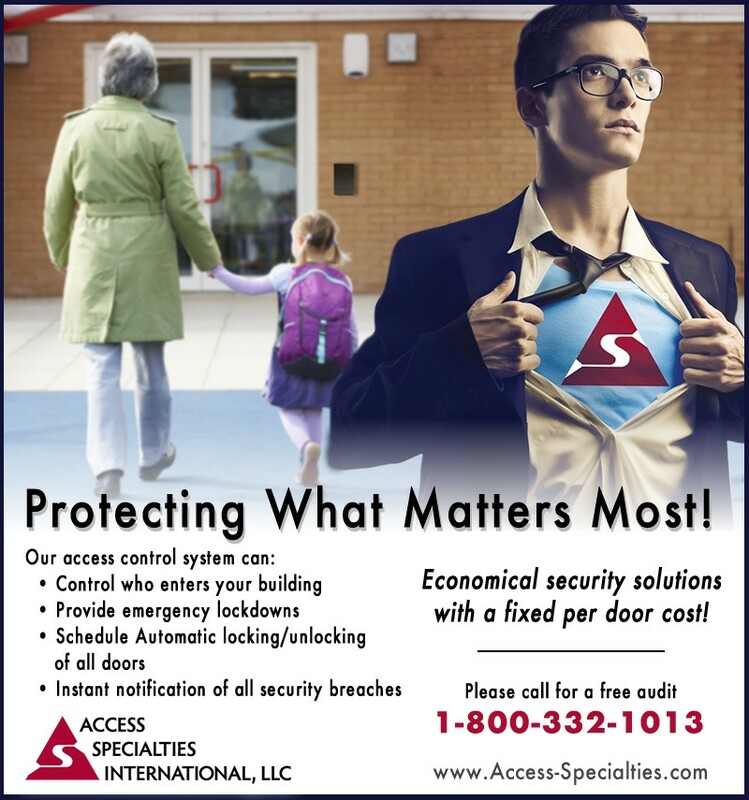 Our access control systems help provide the much needed protection of students and faculty. In addition to controlling who enters the building, allowing only authorized visitors, we can also provide an emergency lockdown of all doors. Classrooms and other secured areas can be automated to lock and unlock on a schedule to make the facility more efficient. With Future Commands, schools can also help automate and control special events. 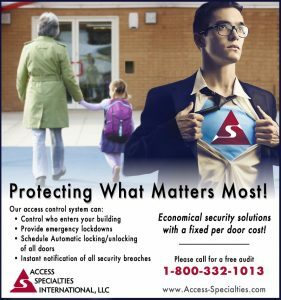 Our access control systems can also provide instant notification in the event of a security breach. With the customizable reports, the system can provide a complete audit trail of all activity within the schools preventing theft and protecting valuable school equipment. Many schools also employ visitor management and professional badge printing capabilities on-site to instantly identify authorized visitors. For more information or assistance on determining which system is right for your facility, contact us at 800-332-1013. Ask about our special education discount for K12 schools.